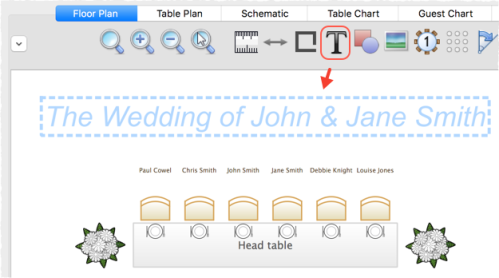 1.Click the Insert text button at the top of the Floor Plan pane. The Insert Text window will appear. 2.Set the text, angle, font and colour. 3.Click OK. The new text item will be added. 4.Drag the new text item to the appropriate position. Double-click on the text item if you wish to edit it later.